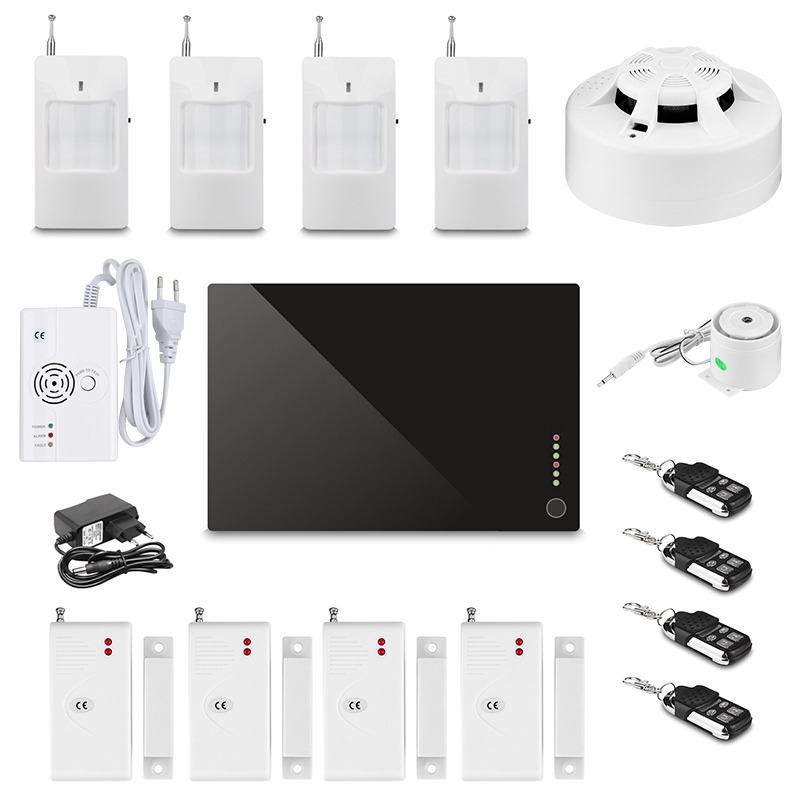 Successfully Added Home Security System - PIR Sensors, Gas Detector, Smoke Detector, Door And Window Sensors, iOS and Android Apps, Remote Control to your Shopping Cart. Featuring a wide variety of sensors and alarm systems this GSM Home Alarm System keeps a track of what’s happening in and around your property at all times. Home is a place where you and your family feel safe, secure, and at peace, as here most of our time is spent with people we love and care about. Guaranteeing the safety of our loved ones is the number one priority, however, accidents are never fully preventable. Burglary, fire, and gas leaks are just some unpleasant examples of incidents that could happen to any household. Luckily there are home security kits that feature a wide range of sensors and alarms that significantly increase the safety of your household. Coming with four IPR motion detection sensors this kit ensures that no unwanted visitors enter your property undetected. With a range up to 12 meters and a 110-degree angle each individual sensor can easily cover a hallway, room, or office space. Four door/window sensors will alert you in case a door or window in your house is being opened. Additionally, these sensors can be used on cupboards that hold valuables or objects you want to keep out of reach for your children. Once a sensor is triggered an alarm will sound and notification will be send to your smartphone, ensuring that you will be constantly up to date about your property’s security status no matter where you are located. A fire alarm has been included in this home alarm system kit and will sound if smoke is detected. Furthermore, a gas sensor has been included that will be triggered by the detection of coal gasses, natural gas, and petroleum gasses. Simply place the gas detector in the kitchen, boiler room, or any place at home where gas is used and you can be assured that any leakage of the smallest amount of gas will be immediately detected. This home security kit comes with a 12 months warranty, brought to you by the leader in electronic devices as well as wholesale electronic gadgets..